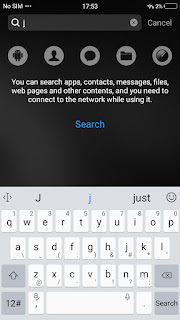 Vivo phone runs on FunTouch OS based on Nougat and Some Still running on Android Marshmallow which does not make much Difference as most of the features are available in FunTouch OS.Here are some of the Tips Tricks which can be used on Vivo Y69 or recently launched Vivo Phones like Vivo V5, V5s, V5 Plus, V7 Plus, Vivo Y66. Like All other Android phones you can capture Screenshot with Volume Down + Power button also there is another way Swipe from below and tap on the ‘S-capture’ toggle. As soon as you tap it, there comes a pop-up on your screen with four modes of capturing the screenshot.If you tap on the Long screenshot, you will be able to take a scrolling shot.The other feature of this super screenshot is that it lets you record your smartphone’s screen just by clicking on the Screen recording when you tap on the toggle. If you want a more detailed guide and instructions of what the screenshot does, go to Settings > Super screenshot > Instructions and select the mode that you want to know about. 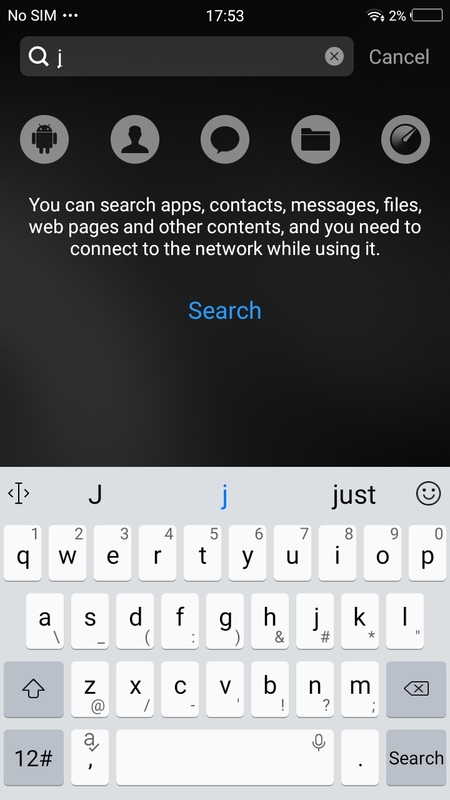 With this, you can search apps, contacts, messages, files or other. How to Enable or Disable Battery Percentage? 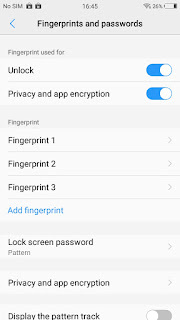 Go to Settings > Fingerprints and passwords > and here, you’ll first have to set up a screen lock before you can register your fingerprints.After setting the Screen lock, go back to the ‘Fingerprints and passwords’ and there you’ll find an option to add fingerprints. 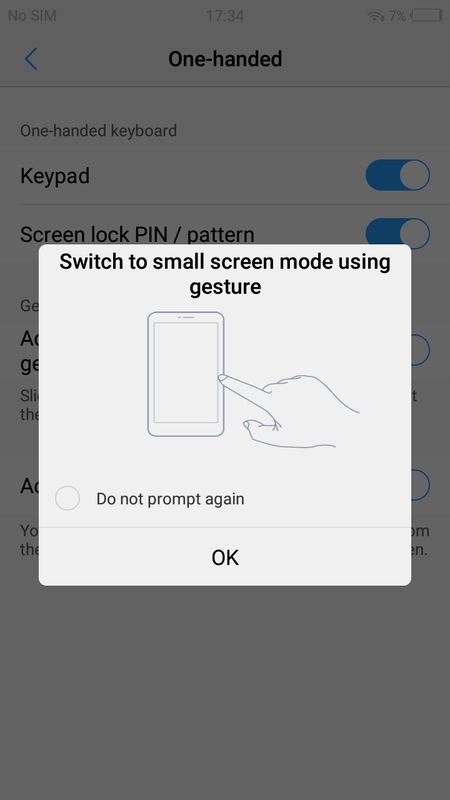 Click on ‘Add fingerprint’ and then, you have to tap on the fingerprint sensor that is mounted in the front in most of the Vivo phones. Lift and place your finger several times until it successfully gets registered. You can add five fingerprints. 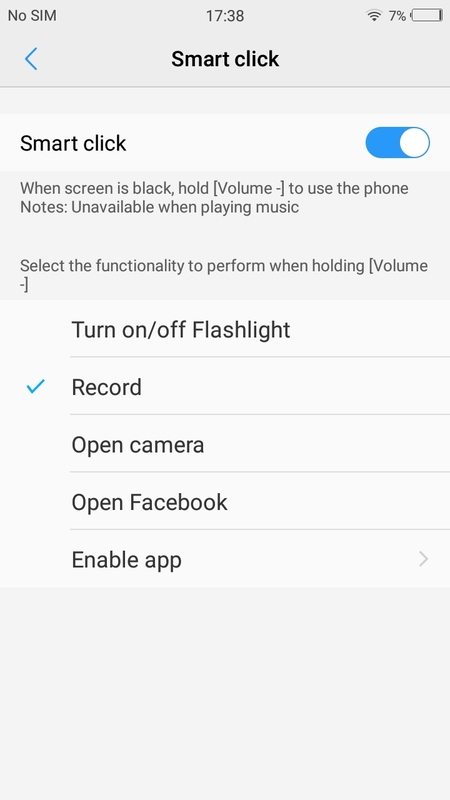 The Eye Protection mode or screen filter can be enabled from dragging down from below for the toggles and tapping on the Eye Protection toggle Go to Settings > Display and Brightness > Eye Protection, and in there, you can make it warmer by sliding. To set the timer, turn on the ‘Set time’ and just below that, you will be able to set the time period in which the filter will be turned on. If you don’t want to set the timer, you can just control it manually by turning it on and off whenever you want. Smart Motion is what Gestures called on the Vivo phones mostly. So, in this Smart Motion features, there are a lot of gestures categorized based on the actions they perform. 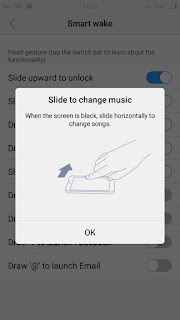 To enable the gestures you want, just go to the Settings > Smart Motion and in there, you’ll find four categories (Smart wake, Air operation, Smart turn on/off screen, Smart call) and three other toggles. 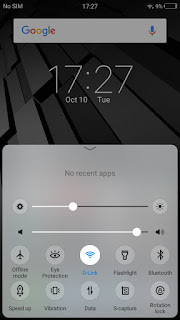 In the ‘Smart wake’, You have nine different gestures which when used perform different actions such as sliding up to unlock screen, draw ‘C’ to open the dialer, draw ‘W’ to open WhatsApp, and few other gestures as this. 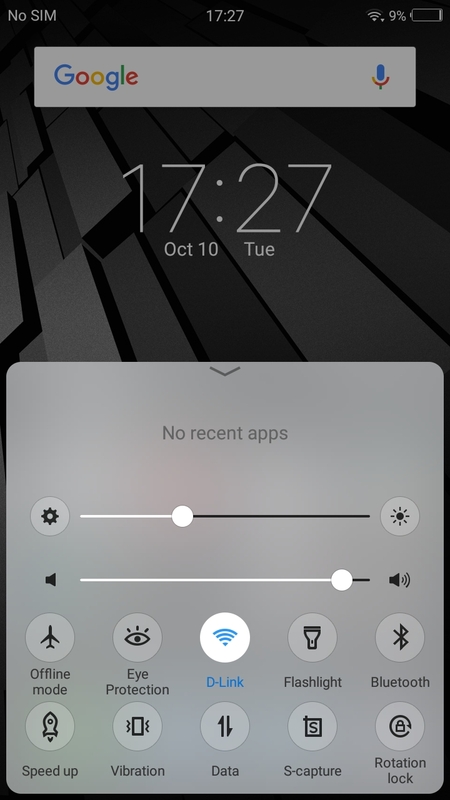 All these gestures only work when the screen is off. In the Air operation, you are provided with two gestures that you can perform. They are ‘Black screen glance’ for which you will have to wave your hand across the phone from a certain height when the phone is kept on a flat surface. 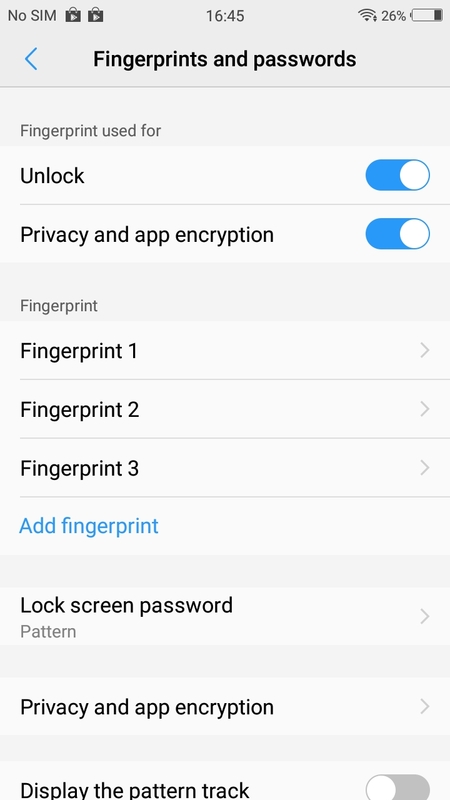 Similarly, there’s also ‘Air unlock’ which you can use to unlock your phone if you don’t have any lock screen password. How to Enable Smart Call? Go to Setting- Smart Motion- Smart Call. In the ‘Smart call’, you have different gestures which you can use to perform a few actions to pick, record or end the call. 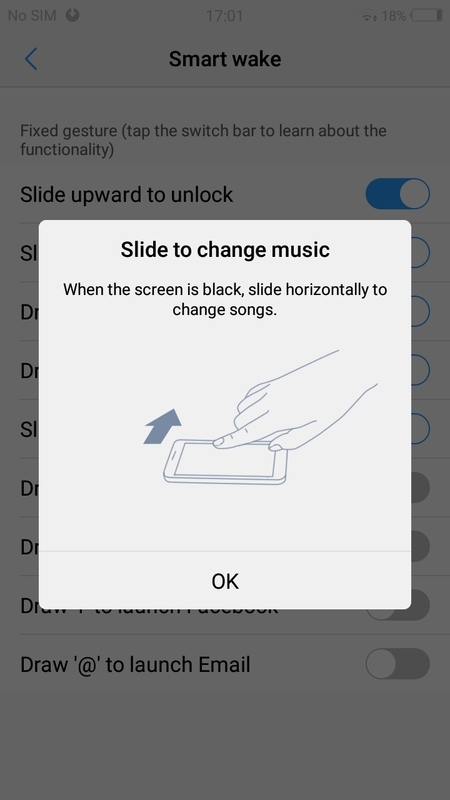 And, in the ‘Smart turn on/off screen’, you have different gestures to perform to unlock and lock the screen. Go to Settings and when you scroll down, you’ll find the ‘One-handed’ option. By opening, you have the options to shrink the keyboard and the screen lock. Enabling the second toggle will let you shrink the keyboard for your convenience while using with one hand. How to use Smart Split? This feature is the multi-window for the Vivo users. Go to Settings, scroll down and tap on ‘Smart split’ and turn it on. 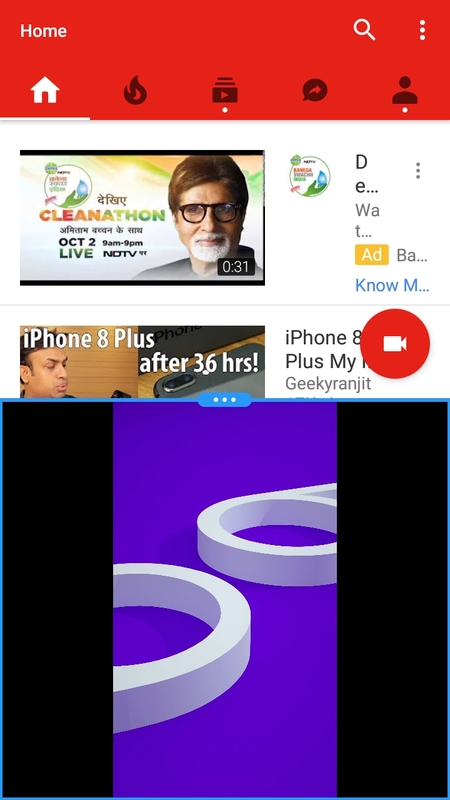 And now, when you are watching any videos on the above apps mentioned, if you get a notification from say, WhatsApp, the icon will be floating on the screen, and when you tap it, the app gets expanded on one side of the screen. How to use smart click? 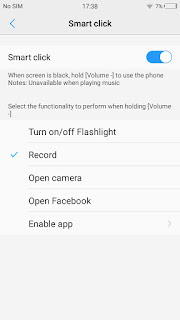 Smart click feature here uses the volume down button to perform a few actions such as Turn flashlight on/off, record, open camera, open Facebook, and any app. So, you have these options to use when you long press the volume down button when the screen is blank, i.e, turned off. Go to Settings, scroll down and click on the Smart click. You can turn it on and set it to a particular action listed below. The last ‘Enable app’ option lets you select the app of your choice to open. How to use App clone? How to Rest Vivo Phones?